Is the recruiting and hiring process taking too much of your organization’s time, effort and money? Is your company facing high attrition levels? According to Statista, the attrition in IT sector in India alone in 2018 stood at 14.6 percent. Gone are the days of recession when people considered having a job itself was boon, even if it was not a well-paying one. High attrition level could prove to be a tough challenge to face for any industry vertical as it is finding a replacement not only costs time but also unnecessary overheads to your company. Even if you don’t consider attrition as a major challenge, let’s talk about another scenario here – What if you landed a big and profitable project that you have to complete within a tight time-frame and you realize that you don’t have enough employees with the right expertise to get it done? Hiring new employees at such a juncture would not be a practical but also not a viable option for you. Besides, if recruiting talents is not your core business, the time and money spend on such an exercise would only add to your overheads. Also, hiring full-time employees is a long-term investment, but you may have short-term requirements that would need you to scale up and down faster than your traditional hiring process. These are the situations when you must start thinking about staff augmentation. IT staff augmentation is the allocation of dedicated technical resources, usually offshore, hired as overseas development extensions of in-house app development teams on fixed or flexible terms and conditions. Augmentation is especially relevant in fields such as IT or engineering, where there is often a requirement of highly specialized professionals for large-scale projects. And as hiring these professionals as full-time employees is exponentially more costly in specific markets, outsourcing it to skilled individuals or teams offshore allows businesses to become more profitable and viable while consistently meeting the demand for resources. Most often than not, hiring is a lengthy process. You might have a test to gauge the skill of a prospective employee, and then different rounds of interviews depending on the structure of your organization, and finally background verification before you hire someone. And after all these what if the candidate doesn’t show up, deciding to take an offer somewhere else? 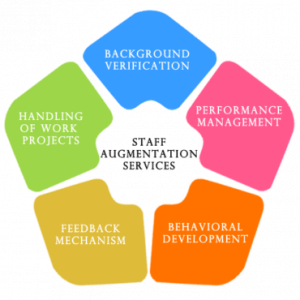 With staff augmentation, all these steps can be avoided because your skill provider will have already done all this and the candidate can join and start working on your project. Also, staff augmentation saves you the time spent on training a new candidate as only those who are specifically skilled to handle your project will be joining you and not much training would be necessary. Hiring a full-time employee also means a lot of expense on advertising the position that is open, infrastructure spent on interviews, training and more. When you couple this with the other benefits you must provide to the candidate along with the annual salary, your cost for the entire process would skyrocket. Nevertheless, with staff augmentation, such expenses can be done away with because your skill consultant will provide you with the right candidate with specific skill sets for your project, that too on a contract-basis and the salary you have to pay to such a staff would also be comparatively lower. As discussed before there’s no guarantee when an employee of yours would chose to leave and for what reason. Since the IT industry is highly competitive, some companies would throw in better pay packages and benefits to attract your employees, and attrition is a difficult challenge to tackle. Nonetheless, with staff augmentation, you run a lower risk of attrition as candidates are hired on a contract-basis for a specific time and the chance of them leaving you in between a project is comparatively less. Also, if at all such a hired staff leaves abruptly, your staffing consultant would provide you with a replacement with the same skill sets in a much lesser time-frame than if you do the recruiting yourself. This gives you the assurance that your project is not affected with employees leaving your company. This is yet another advantage of staff augmentation. If you suddenly require a bigger workforce to meet the project deadline, you can easily scale the capacity of your staff by hiring more people or even another team with the same skill set for a specific period of time. This flexibility allows companies to adapt quickly to the changes in the market and leverage opportunities for growth. Many a times, companies find it challenging to test their products before launch and they end up overworking their staff to meet deadlines. 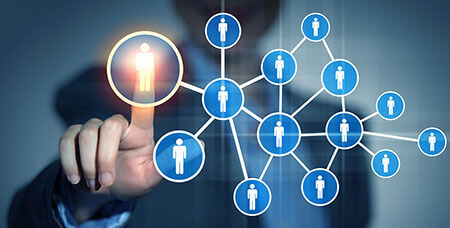 Since the augmented employees are experienced and come prepared with the skill sets suited for your requirement, your own in-house team can focus on utilizing their unique skills fully, while you can delegate the quality testing to the augmented staff. Also, these experienced staff might be able to give creative solutions if you hit a roadblock during the project. This would help in meeting the deadline of a project without compromising on its quality. Staff augmentation companies would take care of the payroll, benefits, training, termination, unemployment and performance issues of the staff they provide and hence you don’t have to be bothered about adding to your administrative capacity or expenses. These agencies can also take care of project plans, resources and budget to ensure that your project milestones and costs involved are on target. How Spericorn's Staff Augmentation service can help your projects? As a reliable staff augmentation service provider, Spericorn follows specific steps to make sure the hiring is done in a professional way. We understand the impact of increased workload on your team’s productivity especially when you have to work in a time-bound manner. To help you with your projects, we provide our own staff to work on your project either using our facilities or to work from your office premises. The payroll of such employees would be managed by our human resource department with all the ensured additional facilities. We also strive to bridge the IT talent demand-supply gap through another innovative method which is by hiring personals on contract basis by our recruiting division. They will be maintained on either your company payroll or ours depending on the conditions. The employees selected will be on the basis of skill and technical talents which will be tested in due course of work.